We have already seen that Landfill is a main cause of greenhouse effect and of greenhouse gases. 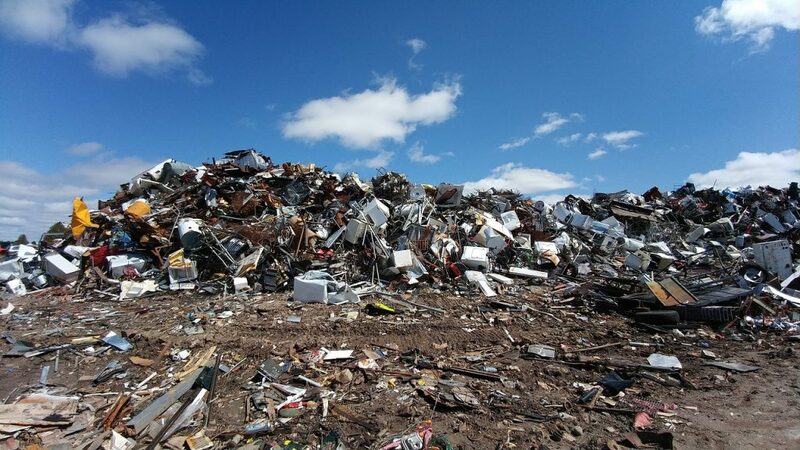 Let us see what landfills are, its criteria of construction, its structure, causes and effects. We shall also discuss a few facts about Landfills. 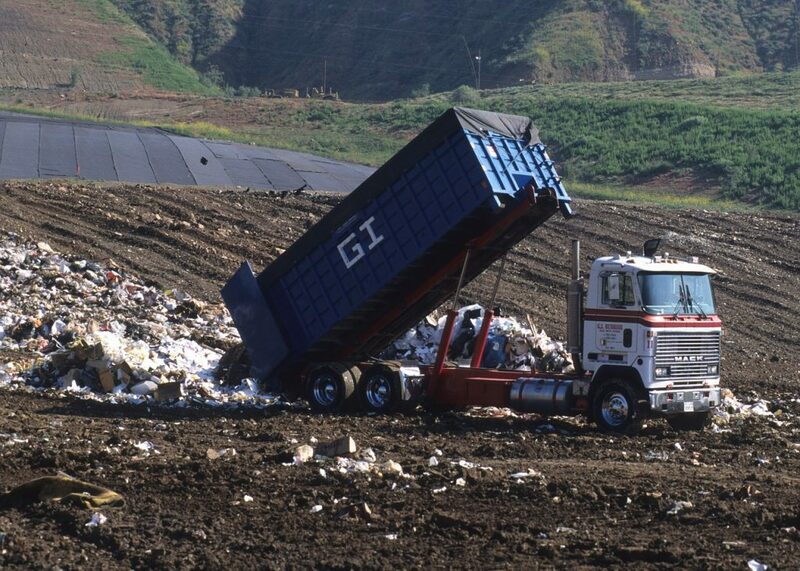 Landfills are waste disposal system in where the waste is burnt or buried. This is the most common and easiest form in waste disposal. In other words, landfills are designated and designed to dump trash, garbage and all other forms of waste. Most of the waste dumped are buried and some of the landfills are used as a part of integral part waste management system. Some are even left unattended which is a major threat to the environment. The area of land should be large enough to hold large quantities of thrash. The bottom area of the land or the pit should be water tight in the sense that no water should seep into the ground or ground water. The flow of water in the area should be diagnosed so as to prevent rainwater runoff. The impact of landfills to the nearby land should be assessed. The historical and the archaeological value of area of the landfill need to be assessed. Bottom liner system is a system that ensures that no rubbish seeps to the ground so as to reduce pollution. These liners are made of material made of polyvinylchloride which is durable and seepage resistant. In this system, the dryness of the landfills is maintained so that water does not penetrate into the nearby rivers or lakes. In this system, Leachate is collected which otherwise will seep to the ground. In this methane collection system, gas and other useful gases from the landfills are collected and sold as per the requirement. The increase in the rate of population has got negative effects on the environment. The more the population, the more the waste is being dumped in the landfills waste. The demand for the manufactured goods increases which in turn increases the soils waste. Agricultural waste has also increased owing to the rise in demand for food. The waste from the agriculture is mainly from animal manure, crop remains, worn out agricultural produce and farm remains. All these are dumped into the landfills. Since the agricultural wastes are rich in chemical fertilizers it pollutes the soil in the landfills. This in turn affects the soil quality. This tops the list to increase the amount in landfills. Solid waste includes waste from markets, hotels, houses, schools, malls and so on. Food waste, broken furniture, plastics, electrical items, electronic goods, wires, cables, hospital waste, waste from malls are all included in solid waste. Most of the above mentioned items are not degradable and can cause severe damage to the environment. They stay in the landfills for years. The industrial and construction waste include waste from refineries, wood, metal waste, waste from power plant and from construction sites. All this adds up to fill the landfills. 95% of these are biodegradable. Rapid increase in urbanization over that years has filled up the landfills. Plastics and all sorts of toxins are a part of urbanization which is indeed dumped in the nearby landfills. The harmful chemicals and the toxins from the landfills seeps into the ground and gets mixed to the underground water table. The ground water gets contaminated in the process. This is then absorbed by the roots of the plants and trees causing harm to their growth. Thus these landfills cause water pollution. Due to all the pollutants from these landfills, a lot of health issues like birth defects, lung disorders, and asthma and skin irritations are reported in many places that are near to these landfills. A lot of other health issues are closely linked to landfills. Combustion of landfills can cause severe damage and can cause excessive pollution. Methane is the most emitted and the most combustible gas in the landfills. If it is in excess can cause havoc. It can even add to global warming as it is a green house gas. Leaching is the process by which the dirty water from the trash leaks to the ground in the landfills. This Leachate is usually acidic and has dissolved organic and non organic materials in it. This drastically changes the ph level of the soil. This is one of the major effects of landfills. More than 51% of our waste is land filled. In UK, 48% of electricity comes from landfills. The food waste from that is dumped in the landfills is the major cause for the increase in carbon di oxide in the atmosphere up to 20 million tones. Methane gas emission has increased up to 41% due to increase in amount of landfills. Studies have proved that emission from landfills has a major contribution in changes in climate globally. The space needed for landfills are running out due to the increase in population and increase in the waste disposed. Mount Rumpke in Hamilton country, Ohio is highest mountain of landfill that is about 1045 feet above sea level. The no: 1 country that produces trash is US which produces 1600 pounds per person per year. To conclude, landfills are the primary reason for increasing the pollution rate globally. Due to increase in population, the landfills are bound to increase in future. Steps should be taken to curb these practices so as to reduce the landfills. Waste can be properly sorted and given to the respective recycling industries rather than dumping it in the landfills. The 3 R’s i.e. reduce; reuse and recycle should be implemented strictly. Organic farming can be practices so as to reduce the use of fertilizers and pesticides. The government should take strict action against illegal dumping in the landfills. If all these measures are adopted, the landfills can be reduces considerably thus saving the environment.